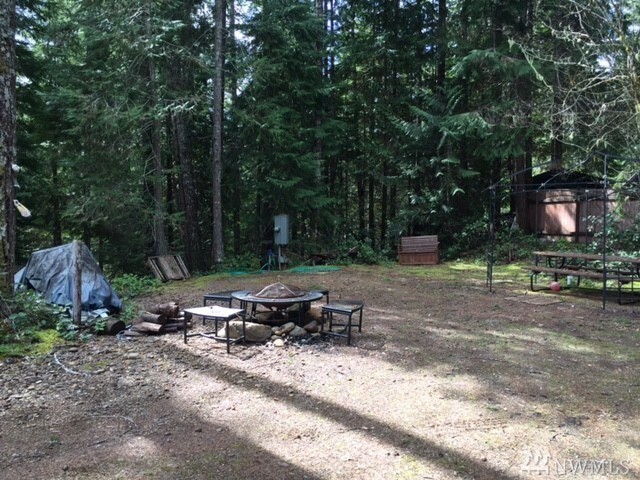 The perfect summer vacation spot only 4 driveways away from the boat launch at beautiful Lake Cushman! Septic, power, and water already on property, along with outbuilding & fire pit. Very private, spacious & level lot at the top of the driveway. Potential building spot would have a gorgeous view with a few trees cleared! Driveway can act as extra parking for boat/vehicles. Includes access to Lake Cushman amenities: boat launches, parks, golf course. Also access to Lake Standstill.